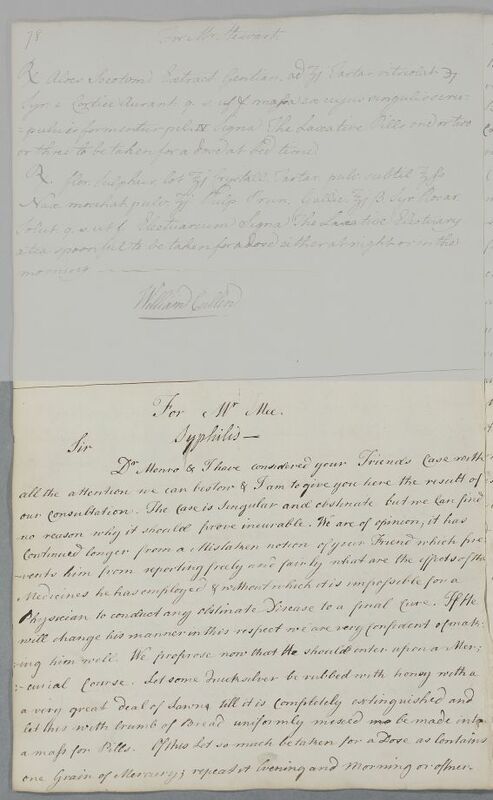 Reply 'For Mr Mee', concerning 'your Friends case', and discussing mercury treatment for syphilis. Cullen has discussed the case with Alexander Monro. 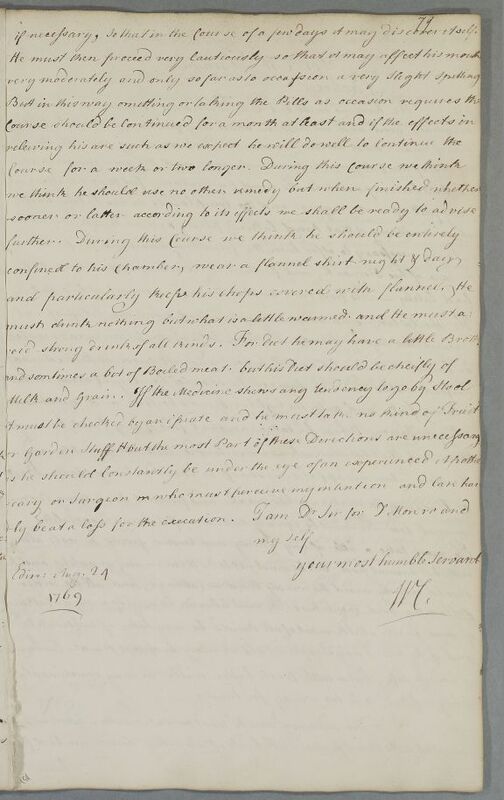 Summary Reply 'For Mr Mee', concerning 'your Friends case', and discussing mercury treatment for syphilis. Cullen has discussed the case with Alexander Monro. Case of Mr Mee's 'friend' which is venereal. one Grain of Mercury; repeat it Evening and Morning or oftner. if necessary, so that in the course of a few days it may discover itself. dly be at a loss for the execution.